* Add Extra 1 yr Smoke Stomper Filter Kit? Whether you smoke Cigars or Cigarettes, our industry leading Smoke Stomper Home Smoke Eater is guaranteed to get the smoke out. Stop wasting your money on air purifers that have no chance of handling tobaco smoke. 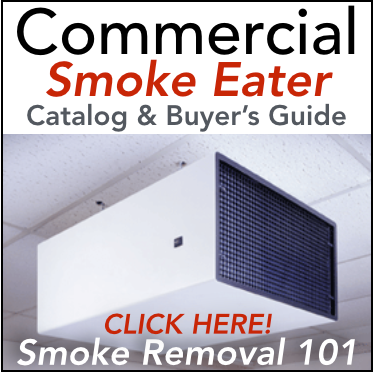 Our Smoke Stomper Home Smoke Eater is made in the same production facility where all of our commercial smoke removal equipment is made. The three stage filtering system is proven to remove the smoke and odors from your home or office. We are offering a crazy unconditional 90 day money back guarantee on your new Smoke Stomper Home Smoke Eater. You will know within a few days whether or not you are happy with the results, but you will have a full 90 days to try it out. If you already smoke in your home and understand that nothing is instant or perfect, yet want a dramatic improvement in the air quality in your home, then this machine could be for you. And with our 90 day satisfaction guarantee, we take all the risk. contact with us! 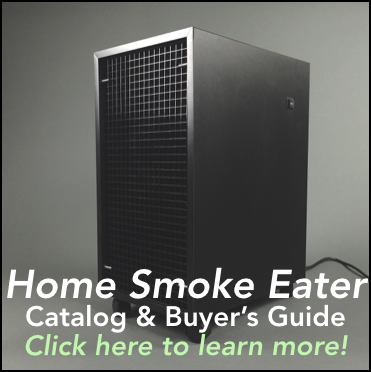 Sharon C.
Click the button below to add the Smoke Stomper Home Smoke Eater to your wish list.